Join today and enjoy great data and calling offers! Join FRiENDi mobile today and keep your number! CLICK HERE for more details. To buy a new FRiENDi mobile starter pack, you can visit FRiENDi mobile’s shop in Al-Assalah building or our kiosk at the Oman Avenues Mall. 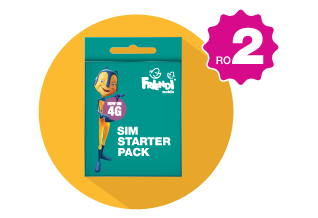 The starter packs are also available in thousands of stores across the Sultanate of Oman. To find the nearest store please CLICK HERE. Home Direct Links Join today and enjoy great data and calling offers!